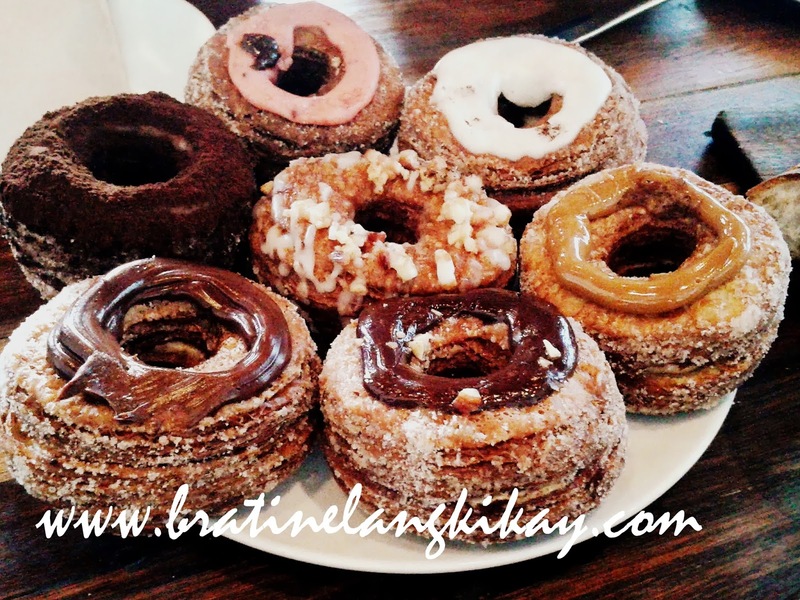 Wildflour Café + Bakery pioneered the Pinoy version of cronuts which is the coined word for croissant and donuts rolled into one. The raves they've been getting were so enormous that some people are led to believe this is the greatest bakery invention of 2013. Well, take a good look and repeat after me, "Overrated, exaggerated!" The taste isn't bad. In fact, the croissant-donuts are quite good especially the chocolate varieties. But honestly they are NOT that good to be worth the hype (and the price). I can't believe we waited for over an hour to be seated just to dig our forks into these babies. Each cronut is priced at Php120-Php150. Quite expensive for me. 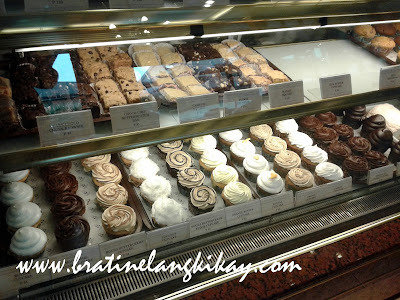 Wildflour Café + Bakery is located at BGC (they also have a branch at Podium). 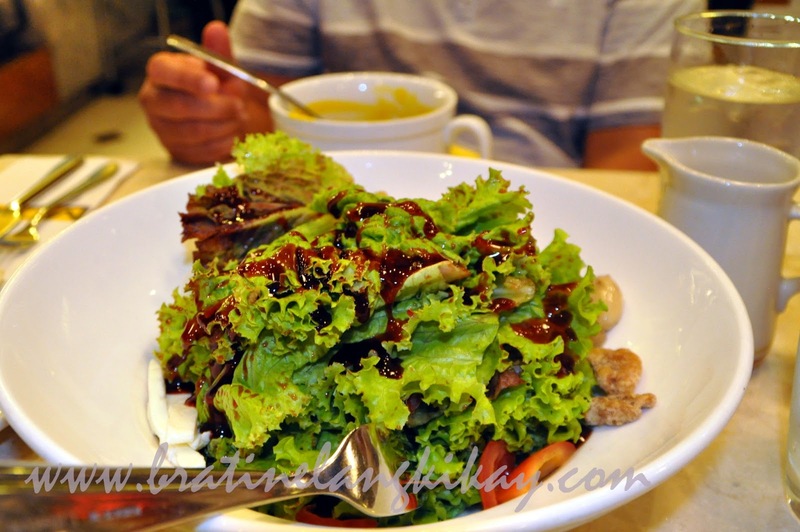 Its café has a chic, upscale atmosphere that made me believe we paid more for the ambience more than our orders. If you want to try this café, prepare to wait outside (with no seats or waiting area) before you are seated (by their not so friendly staff) especially during weekends. I have heard the words 'I love you' thousands of times and I know I am truly loved by many. But today I feel so happy as if the whole world had just told me it loves me. This is my son, Enoe, who is over three and a half years old. At his age, he still stammers and his vocabulary is still quite limited. Honestly, I am a little worried already but as a mother I am hopeful he will improve immensely as he progress in school. Today as he recited a poem in front of an audience of around 30 people, I feel not only happiness and pride for my son, but also my heart is filled with gratefulness to God. 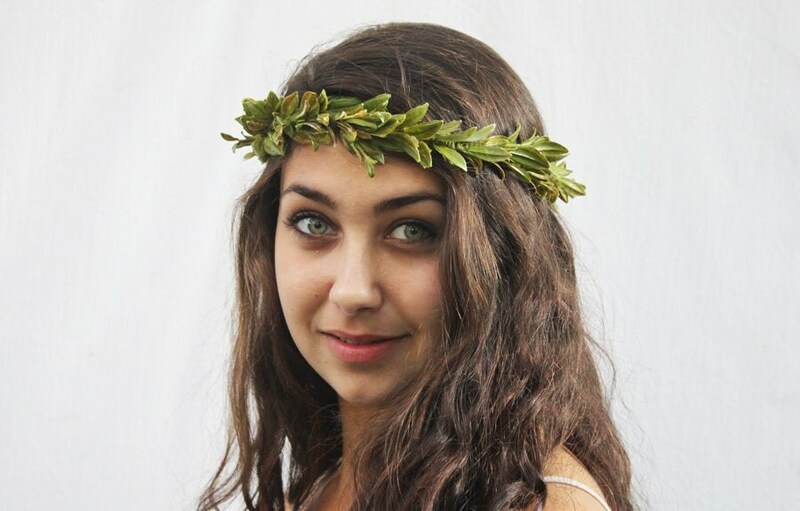 "Most of all, I love you". Yes, my dear boy, most of all, I love you. Very much. 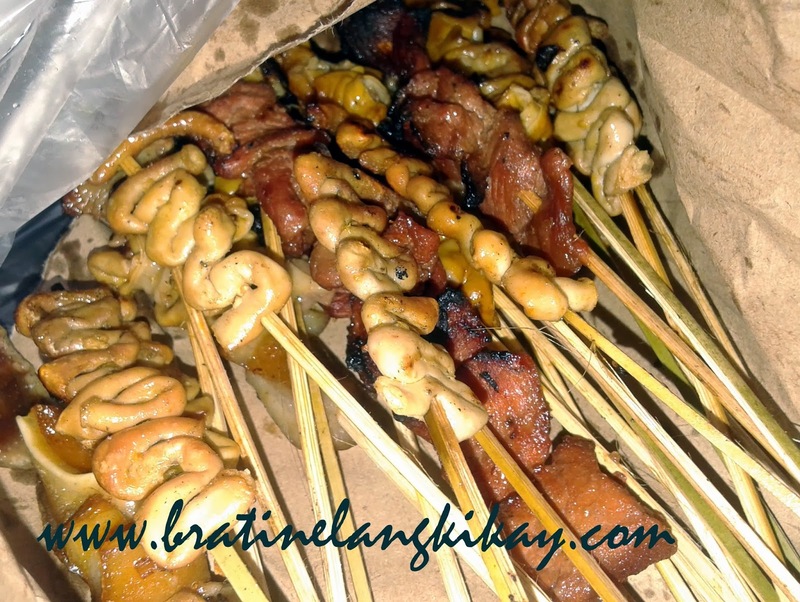 I first heard of Mang Larry's Isawan in Balitang K. The highlight of the story was not actually Mang Larry's delicious barbeques but the success story of how he was able to send all his kids to college only by selling his grilled goodies. Anyone can see even from afar how popular Mang Larry's Isawan has become. It was drizzling when we got to the open space in UP where his small stall is located but there were still many cars parked and a long queue of people waiting for their orders. The selection is straightforward and simple that anyone who frequents his food stall could easily memorize his products and their respective prices. We ordered 4 of each kind except for Isaw Manok. We devoured 10 of them! Honestly, there is nothing extra ordinary or special with the taste of their isaw or any of their grilled food except that for the cheap price compared to other ihawan in the area. But I think what set Mang Larry's Isawan ahead is that his stall looks clean and his vendors doesn't look gusgusin. I also like how he puts the barbeques behind a covered display glass (escaparate) to keep the bull flies and dust away. 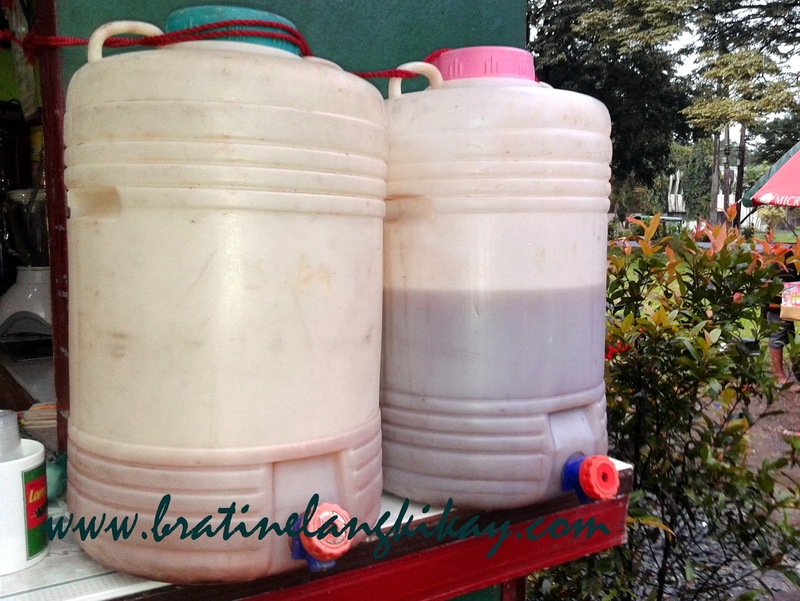 His special sauces (variety of Regular and Spicy) are placed in huge plastic container jugs "self-service" style. His vendors will hand you the grilled isaw in a brown bag which helps absorb the oil and you can take care of your own sauce. 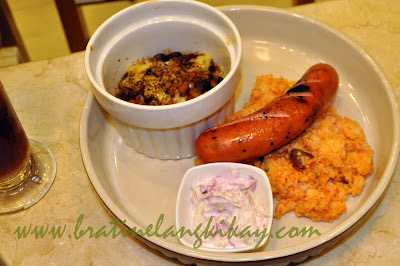 The Hubby and I would definitely go back to Mang Larry's next time we crave for isaw and anything grilled. 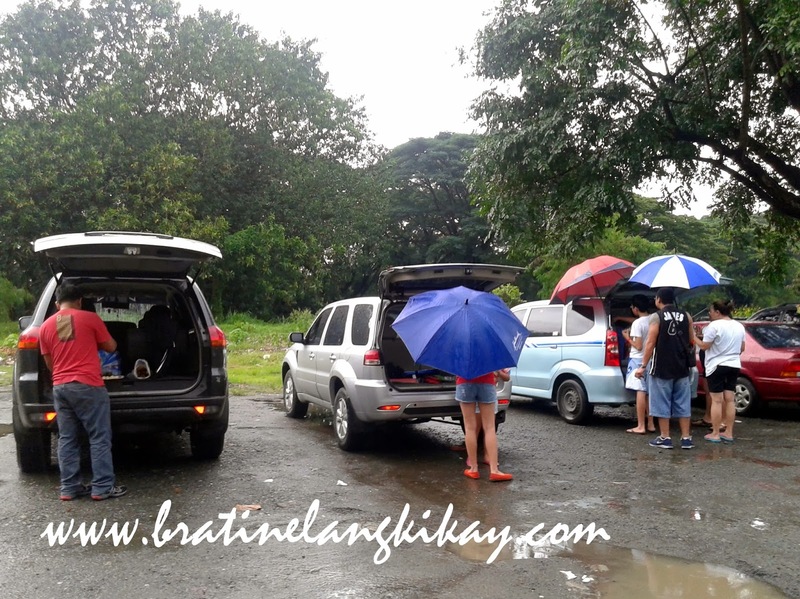 We like the picnic ambience and how we can simply park and open the back our SUV for an instant shelter from either heat or rain. 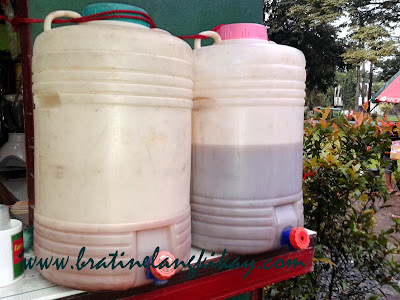 Mang Larry's Isawan is located in Ma.Guerrero Street, near UP College of Law. If lost, just ask anyone in the campus and they will point you to the right direction. 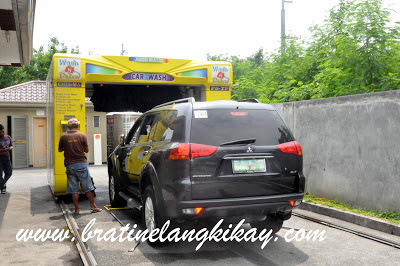 Everybody knows Mang Larry's Isawan, that's for sure. 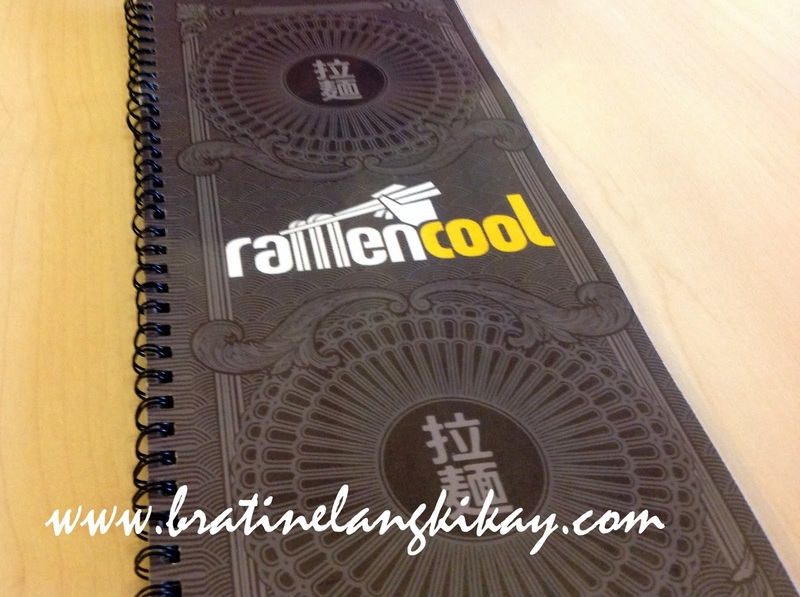 Is it cool at Ramen Cool Kapitolyo? Joining the ramen bandwagon is Ramen Cool, one of many promising restaurants and cafes in Kapitolyo, Pasig where food establishments are mushrooming. This neighborhood food hub is strategically located along East Capitol Drive corner West Capitol Drive and with a few parking slots in front. I came specially to try their Ramen as I want to find one that could compare to Ramen Bar. 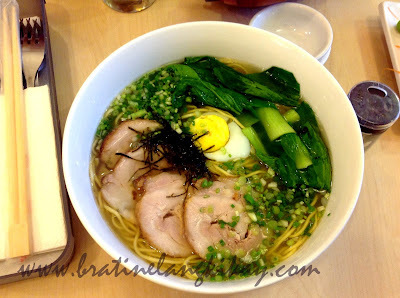 Hence, I ordered the same one I always order at Ramen Bar which is the Pork Shio Ramen. The ramen was okay but definitely not better than that of Ramen Bar. I was expecting the pork to have the melt-in-your-mouth tenderness but I found it tough as if I can eat it as ulam. The portioning is just right for sharing (by two kids). 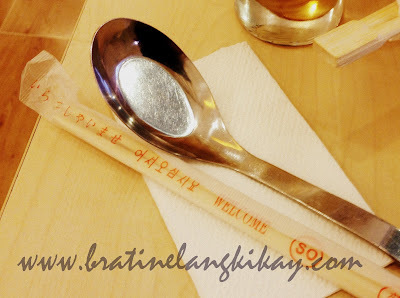 I love their stainless soup spoon! 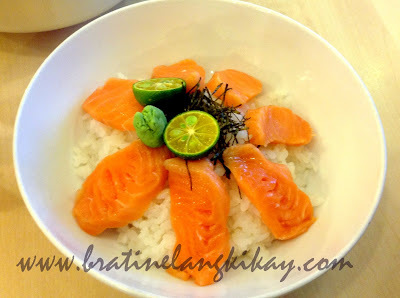 I was also craving for some rice and sashimi so I decided to have the Salmondon. It's salmon sashimi on top of gohan (plain rice). There's really nothing to rave about this dish as there was absolutely no cooking involved but I must point out how the salmon have a smooth texture, natural tenderness and generously sliced. 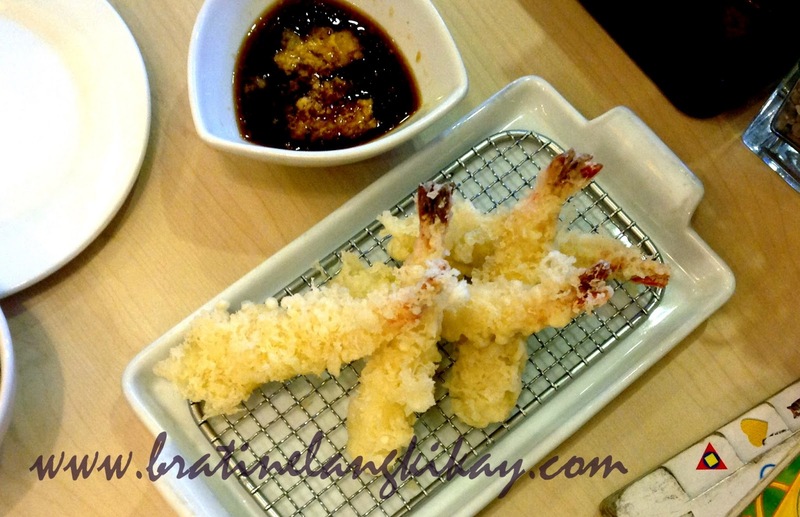 My daughter ordered Ebi Tempura which I was able to 'inspect' closely because she eats very slow and removes the crumbs to eat it separately. In fairness, the shrimps are fairly-sized (meaning not small and cut into half lengthwise so there's 2 pieces of tempura out of 1 shrimp) and was cooked to crisp tempura perfection. 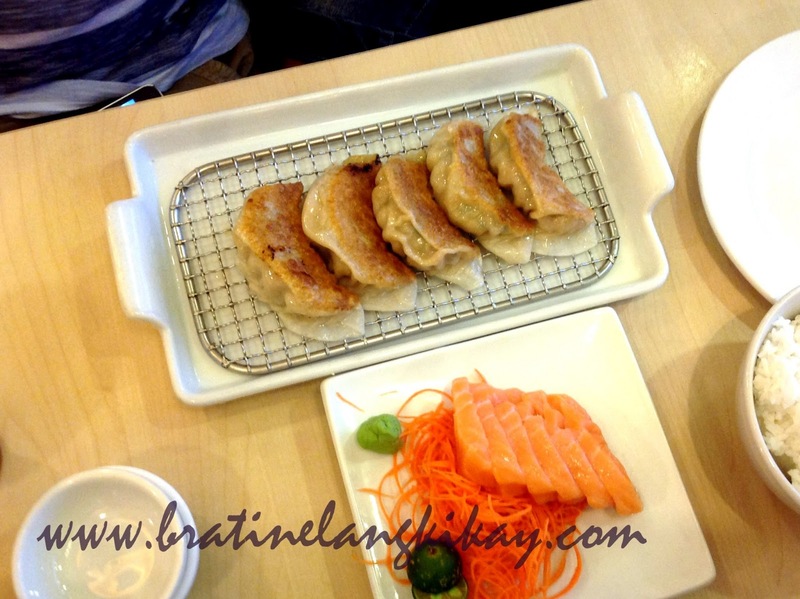 As expected, The Hubby ordered his favorite gyoza and being the gyoza expert I asked him how it fared to his taste buds. He said just OK. Don't you hate that? When you ask someone for his opinion and he simply says, 'Just OK'? It doesn't really tell me anything so I would say maybe it taste just like any gyoza and there's really nothing outstanding about it. We also ordered salmon sashimi which I liked because they were sliced just right (not too thin) that you don't feel you are being robbed for the price that you pay. I also appreciate the way the sashimi was served on top of carrot strips instead of just plain banana leaf like what most Japanese restaurants do. Overall, we think Ramen Cool is not that cool but for sure they have dishes that would be worth coming back for. In the meantime, Ramen Cool should be okay for quick meals or if you are craving for Japanese food but doesn't want to explore other restos. Whenever I hear the song, Dance with my Father, I can't stop my tears from falling. The Hubby, instead of consoling me, often ends up laughing because he thinks it's a drama he's seen over two dozen times. But the truth is I've never danced with my father. Not on my 18th birthday, not even on my wedding day. Perhaps the only times when he danced with me were those nights he put me to sleep when I was a baby. My Dad was a very simple and reserved man. Call him shy if you may. He's not the type who likes to be the center of attention, was not fond of dressing up and more than anything, hates formal types of parties. He prefers simple gatherings with only close family and friends, wear his favorite shirt and eat his comfort food of canned mackerel sautéed in garlic, onion and tomatoes, sarciadong itlog, friend rice and steaming hot coffee. Even when I worked in a hotel for over 3 years, my Dad went to dine at our outlet only once and that was after so much prodding from my Mom. On my 18th birthday ball, he chose to stay in one corner and cry (for whatever reason, my Dad was very emotional when I turned 18) instead of doing The Waltz with me. Then weeks before my wedding day and before I could protest, he told me rather seriously to tell the program host to not ask him to dance or to deliver any speech. Honestly, those were the very few times when I felt really hurt by my father. Up to this day, I still could not understand why he chose to be stubborn on those two important occasions of my life than make me happy. So when I hear the song Dance With My Father, my heart breaks and I cry. No matter how many times I've heard it in the past, the same amount of pain floods in not only because I miss my Dad and this song reminds me of him but more because I am reminded of the chances that my Dad missed when he refused to dance with me. I weep for the 'would-have-been-great' moments I lost, to have my Dad sway with me in the middle of the dance floor and be nothing but the father I idolized. 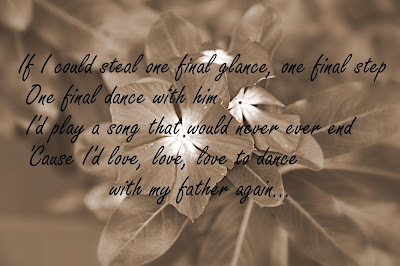 Ironic as it seems that even as I claim that I was a 'Daddy's Girl', I never got to dance with my father. With The Hubby and I's schedule at work (painfully opposite as I work during the day and he takes the night), breakfast together has become a welcome leisure for both of us. 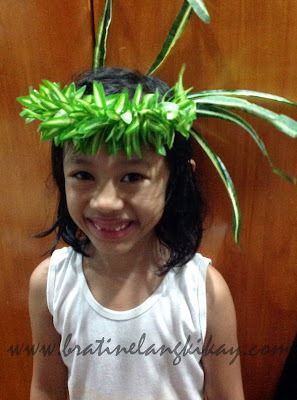 It's a time when we can quietly discuss (because the kids are either asleep or in school) our daily activities and just catch up. And so one early morning after driving an aunt to the airport, we decided to try this quaint café along C5 road in Pasig. 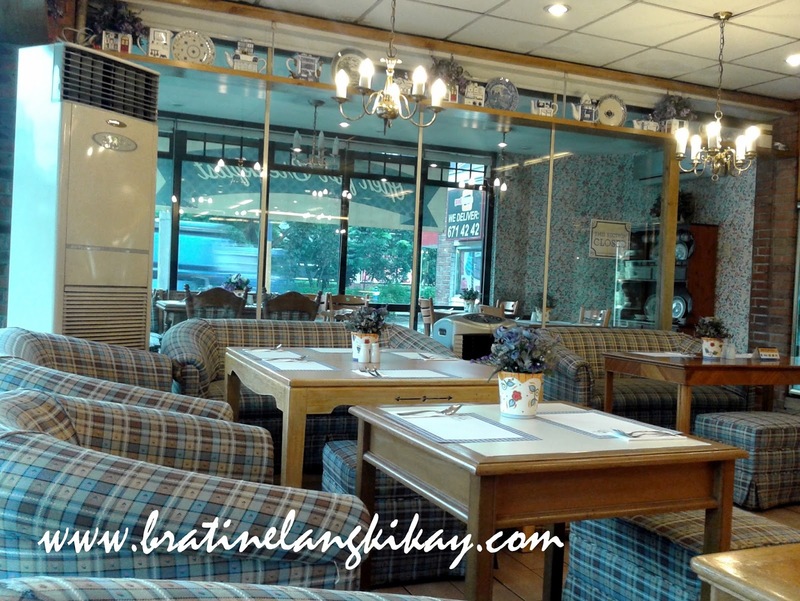 We've often passed by this café and I've always wondered what sort of food they serve but never got the chance to dine there. Anyway, I am glad we finally did on this lovely Sunday morning. The café-restaurant had just opened when we arrived at 7:05 in the morning. The place was still empty and we were the first customers. I love it when we get to place and it's just us there! I had the place to myself to admire the beautiful, well-chosen interiors. It's so elegant yet homey. The couches look gorgeous and inviting and they smell great too (not like other restaurants where the it smells like food everywhere). 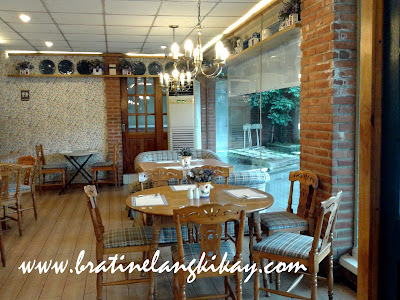 I love the chandeliers and the country look and feel of the restaurant. 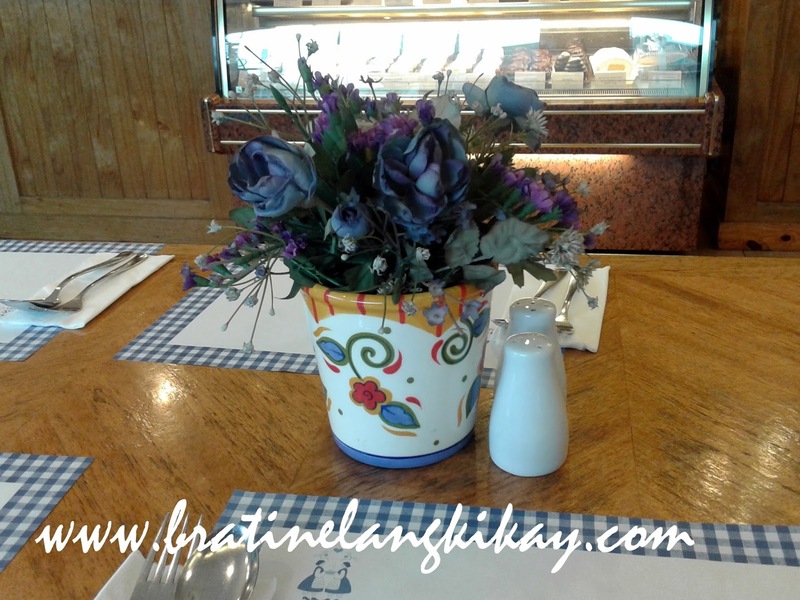 And the table centerpiece that I want to take home :) Simple yet lovely. Going to a restaurant for the first time means taking a risk on what to order. Normally before heading to dining place, I would check food blogs for reviews and recommendations. I didn't have the chance to do that this time so instead of ordering from the breakfast menu, I decided to try their Meat Lasagna and I am glad I did. The lasagna sauce is bursting with a flavor of melted cheese and cream that I almost forgot it's a pasta dish. The garlic bread that comes with the dish perfectly complements the lasagna that I actually ordered additional breads. I used the lasagna sauce as bread butter. Super sarap, without exaggeration! 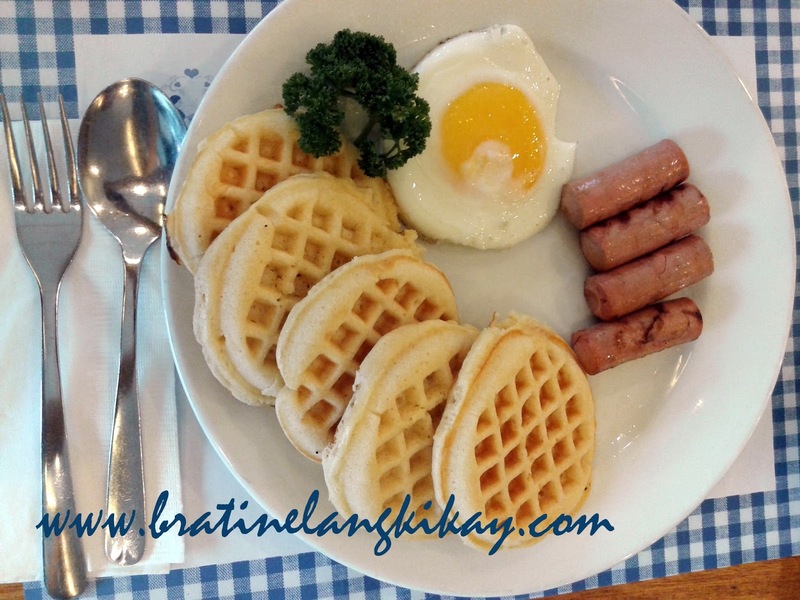 The Hubby decided to stick with a breakfast fare and ordered Waffles Pancakes with Vienna Sausage. The waffles are soft like fluffy pancakes just the way they promised. 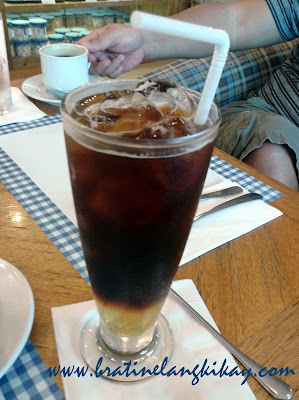 No matter how early in the morning, my coffee must always be iced just the way I like it. 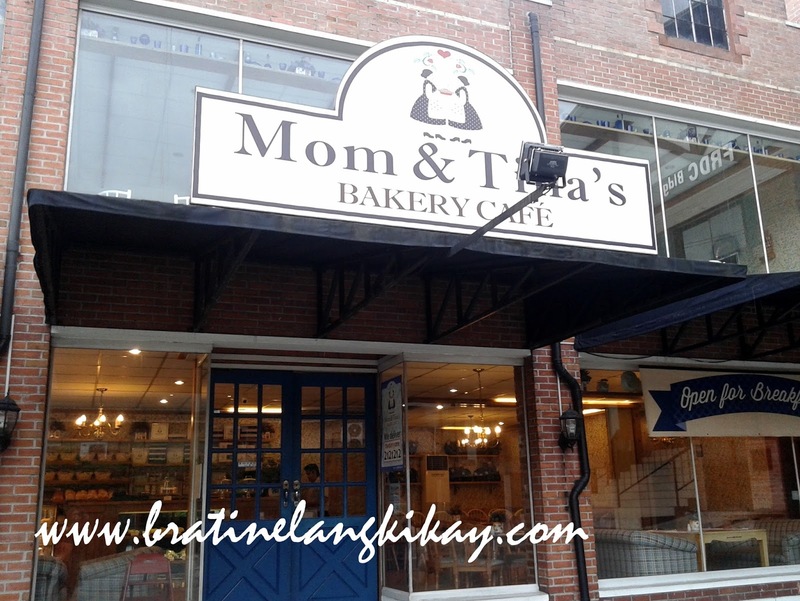 Thankfully, Mom & Tina's have Iced Coffee on their beverage list and you can even go for decaf! The only downside comment I would share at this post is that the serving is quite small for the price of the dish. Good thing the food taste good otherwise I would even call it expensive. 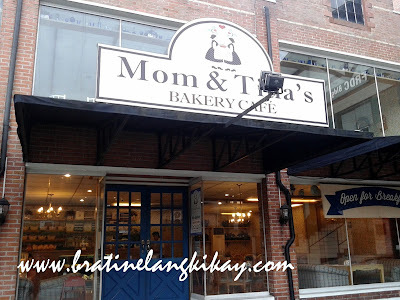 Well, we all have to pay for quality and the food here at Mom & Tina's is nothing but that. I am raring to go back! MoMo Cafe Eastwood City - Finally! We've been to Eastwood City over a thousand times (especially since The Hubby worked in Eastwood for nearly 10 years) and have passed by MoMo Café in countless occasions. It's always one of the restos we list down when trying to decide where to dine on certain celebrations and gatherings, yet we've never picked it for some reasons. Anyway, this one fine night when The Hubby and I managed to sneak from our kids and go out on a date (just the two of us, yehey!!! ), we decided we'd try MoMo Cafe. 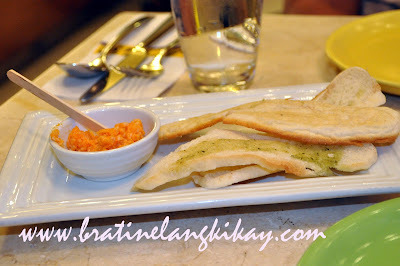 We were offered complimentary bread with cheese pimiento spread while waiting for our orders to be served. The very tasty spread is made from kesong puti (fresh white cheese) and pimiento (cherry pepper). Our meal started with Herbed Pumpkin Cream and Bacon Bits soup. The serving is just for one but since I am not fond of soups, I just shared a few spoons as we didn't want to order another serving. 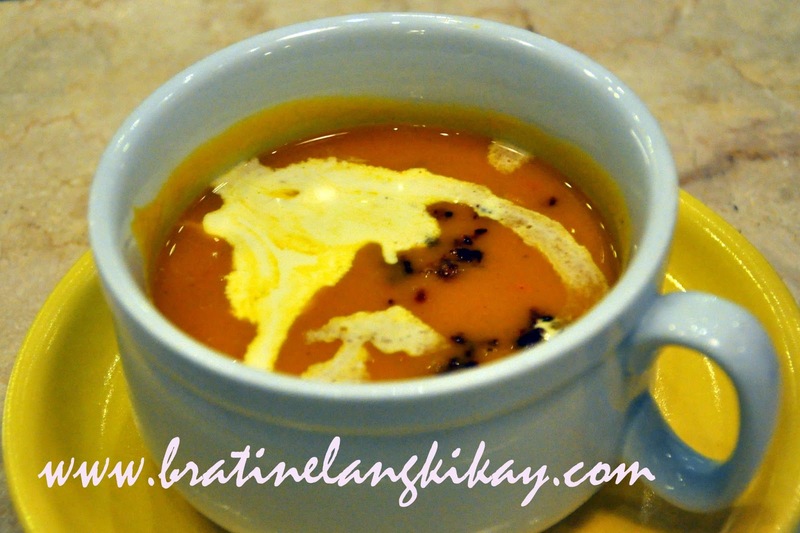 The soup is thick and the taste of pumpkin is really prominent. For the price of Php150, I find the serving too small. The Hubby ordered the MoMo Gourmet Salad which was recommended by the waiter. It's a combination of lettuce, tomatoes, sliced boiled egg, orange slices, grapes, candied walnut (I only saw one piece) and croutons topped with raspberry balsamic vinegar dressing. Allowing the waiter to pour the dressing for us was a big mistake as the dressing was too sweet (fruity) for my palate. The Hubby and I shared the salad but I couldn't even finish my portion as I already felt nauseous before I could eat half of what's on my plate. 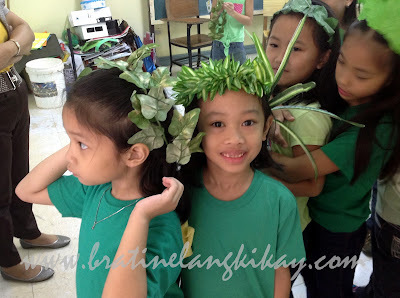 Nakakaumay to the max! Next time, I'll have the dressing served on the side instead. 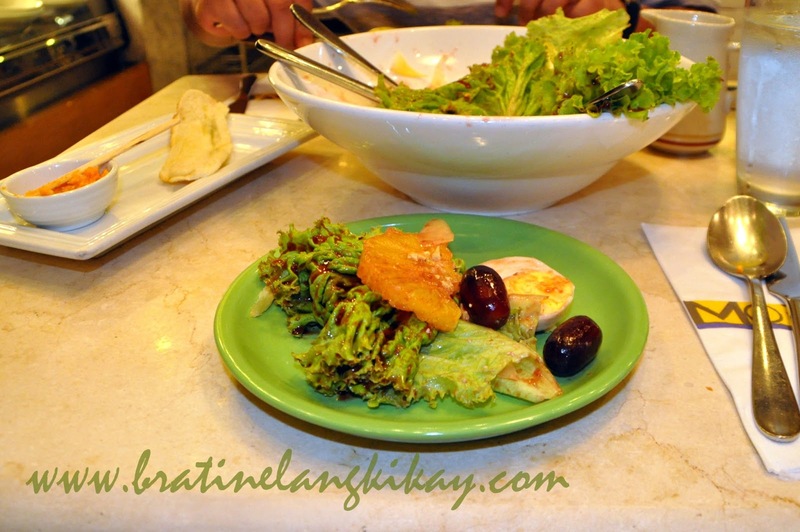 For the main course, the waiter suggested dishes from their House Specialties list which are all good for sharing. Nevertheless, I suggested we ordered 2 different dishes to try. The Hubby is a huge eater and maybe the 'to share dish' may just be enough for him. 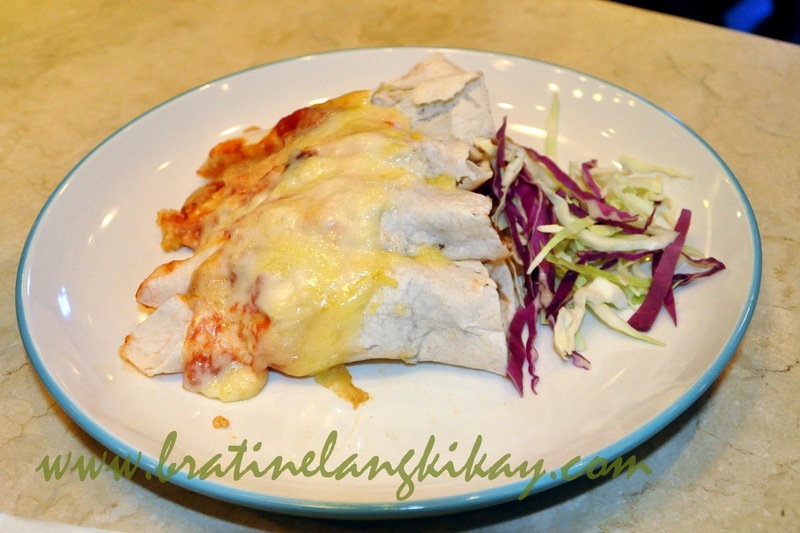 The Hubby had Baked Fish Enchilada which is 4 pieces of Cajun-spiced fish, rice and red beans wrapped in tortilla and topped with Mornay sauce. This dish looks plain and light from the plate but it's actually very filling. I find the fish inside the tortilla a tad small though; I was already halfway through the enchilada before I finally found fish. My order was Smokey Burnt BBQ "Beans & Franks" which is according to their menu description is a frankfurter, 2 kinds of beans, double smoked bacon party rice and coleslaw. 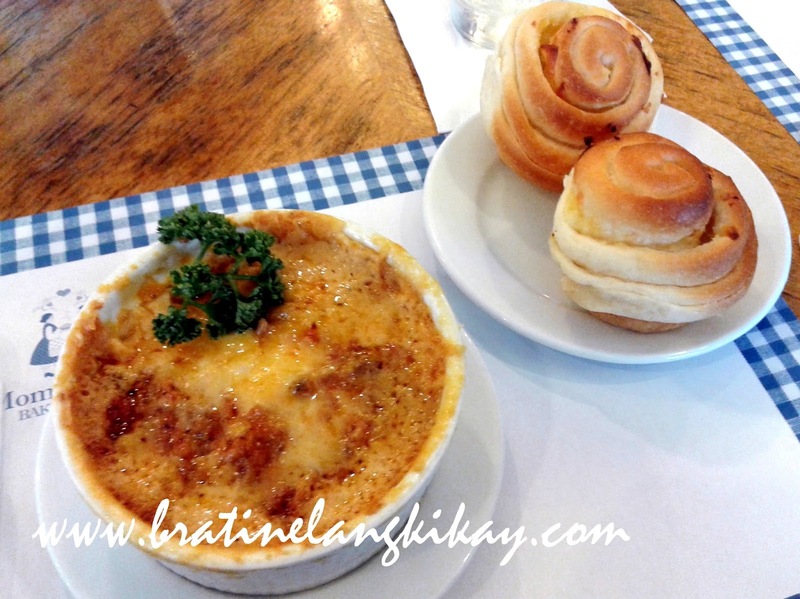 I really liked the cup of beans which were also topped with melted cheese. The franks was grilled to juicy perfection and went perfectly with the party rice. However, I have to ask, "where is the double smoked bacon?". Really, I didn't find bacon in the dish, not even the taste of it. Did they forget? And by the way, this is NOT for sharing unless toddlers are eating. We didn't have room for dessert (and I also want to eat dessert somewhere else) so we just finished the drinks we ordered. Dalandan Iced Tea shake and Iced Coffee for me (because no one can make me drink hot coffee). When we received our change upon paying the bill, I was pleasantly surprised to get 2 pieces of ChocNut (my favorite so The Hubby didn't get his). Although I find the gesture cute, I wonder would it be better to give imported mints? ChocNut and the restaurant theme of MoMo just doesn't seem to match. 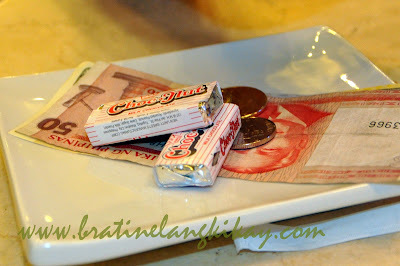 ChocNut is so Pinoy while there's nothing Pinoy in MoMo's dishes or it's restaurant interiors. Anyway it's a good dining experience especially since it's my first time to try the restaurant and it's been a long time since The Hubby and I had a quiet dinner together. 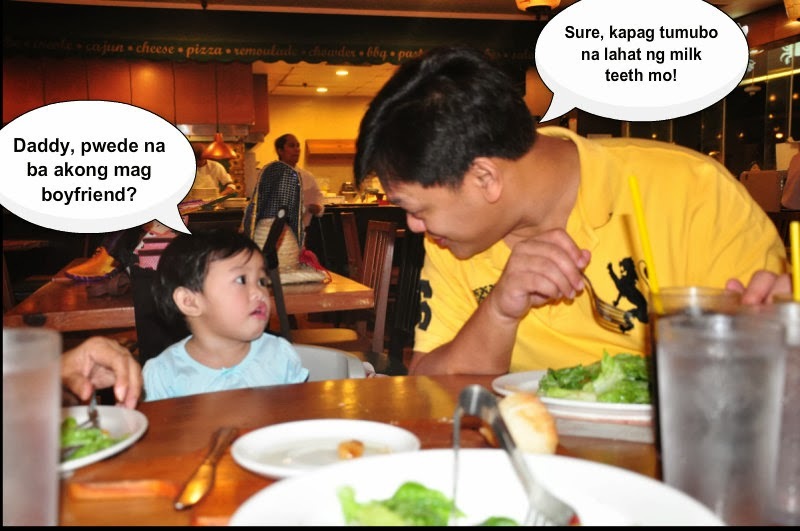 Next time we dine we'll try the pizza and pasta dishes. 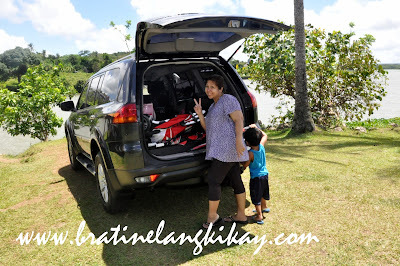 An unexpected hiccup in our road trip to Lucban, Quezon brought us to the beautiful Caliraya Lake where we got to experience the cool breeze of the mountain, lunch ala picnic style in a nipa hut by the lake and explore the beautiful Caliraya Lake by boat. We were really annoyed to have come as far as Pagsanjan, Laguna only to learn that the bridge that would connect us to Lucban is under major repair and is closed to all types of vehicle. We were forced to go back and take the alternate and longer route to Quezon which is via Lumban, Laguna. 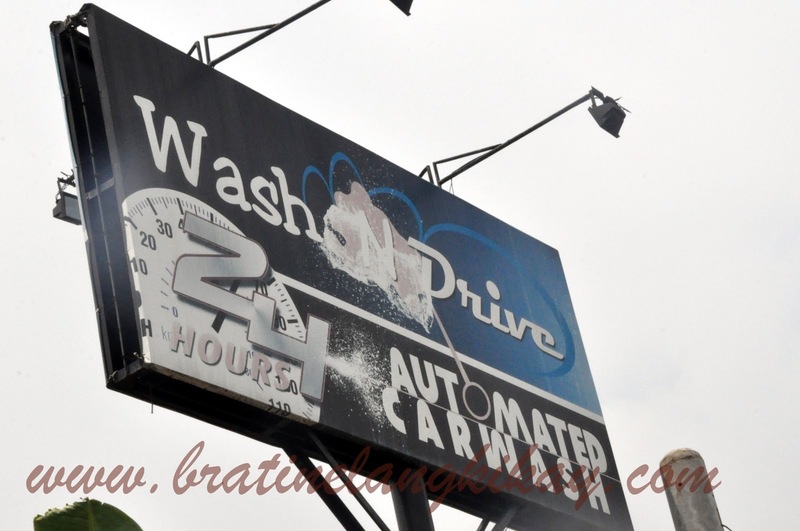 It turns out to be a blessing in disguise as that alternate route led us to an unscheduled stopover. 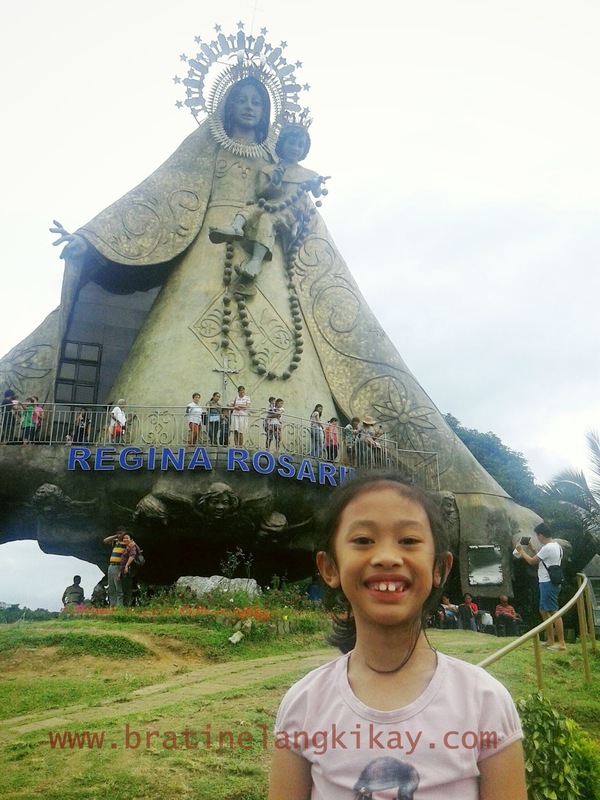 The road to Caliraya was an uphill climb, and from our GPS map, we were going through the mountains. We didn't know we were heading to Caliraya Lake as who would have thought it's there 1200 feet above sea level. Upon reaching what seems to be the highest point of the winding road, we saw a makeshift sign "Picnic Huts Here, Boat Ride Here" written by hand using black paint on a huge plywood. There were other cars stopping by and entering a sort of huge parking area covered in grass and surrounded by coconut trees. 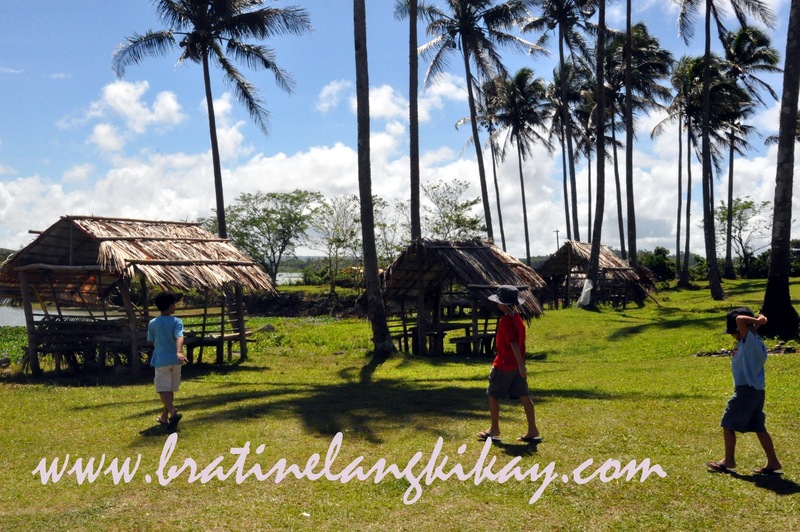 We went it and we were welcomed by the inviting serenity of tables in nipa huts, tall coconut trees and the inviting view of the lake. There are I think about 8 nipa huts all over the huge (we later learned the whole lot is about 2 hectares) property. 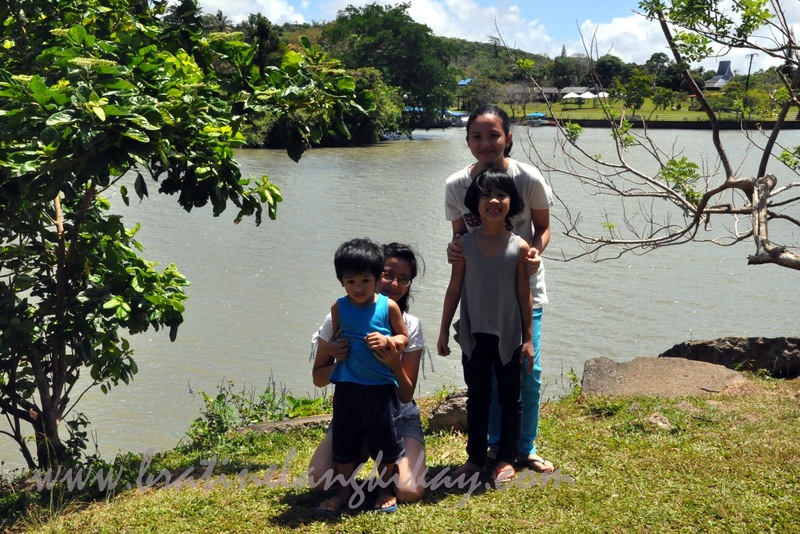 The caretakers, a family entrusted by the owner to manage the area, offered us the table at the farthest side of the land, facing Caliraya Lake. 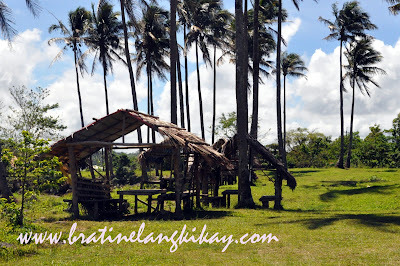 The tables can be rented for Php300 per day each and parking is free. We were allowed to park in front of the hut too, which made it very convenient for us to unload our packed lunch. It's the start of summer but it's cool and breezy at Caliraya. 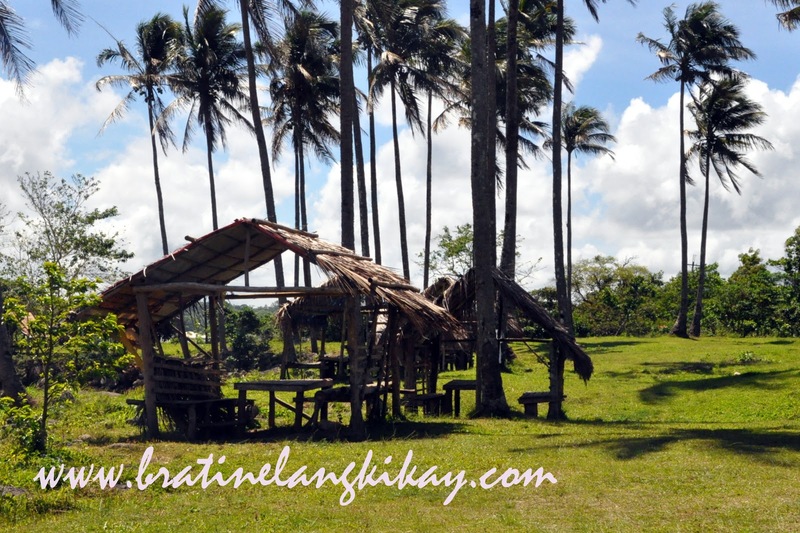 We were very comfortable even without any fans installed in the hut and enormously enjoyed our lunch of pork adobo, longganisa, tinapang bangus, pinakbet and fresh buko juice. For a cheap price of Php15, the caretakers will pick coconut from one of the hundreds of trees in the property and serve it fresh with a straw. 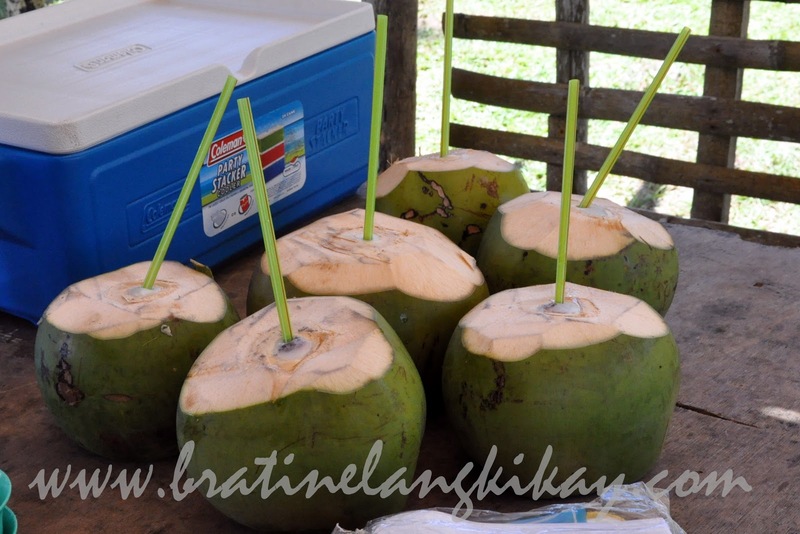 We ordered 10 fresh coconut and set aside the softdrinks we brought from Manila. 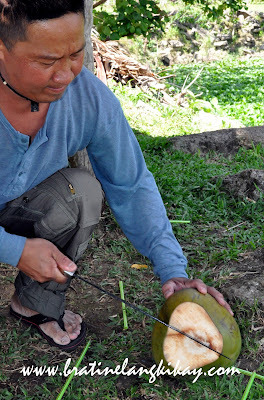 After we finished the juice, we asked for the coconuts to be split open so we can enjoy the meat too. 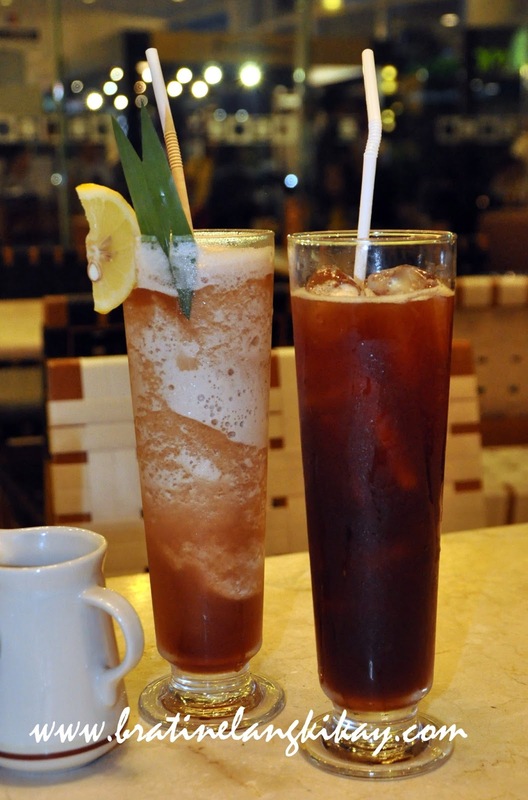 A drink and dessert for Php15! 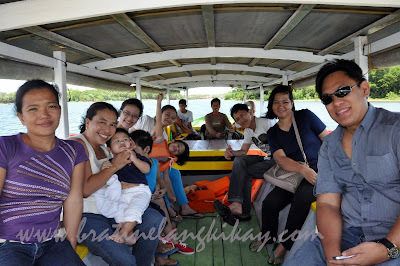 After our sumptuous lunch, we were offered to take a tour of the lake by motor boat for Php1500 an hour. The boat's capacity is up to 20 people but since it's just 8 of us adults and 3 kids, I managed to haggle the price to Php1200. 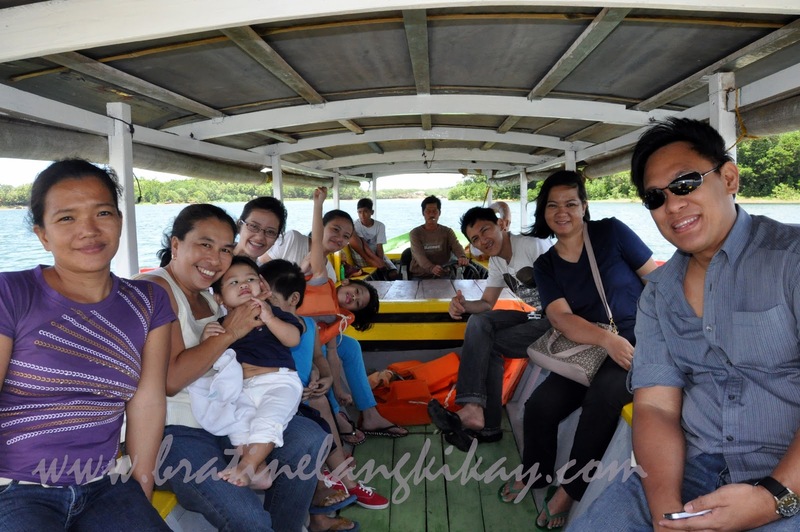 The boat ride took us around Caliraya Lake bordering the towns of Lumban, Cavinti and Kalayaan Laguna. 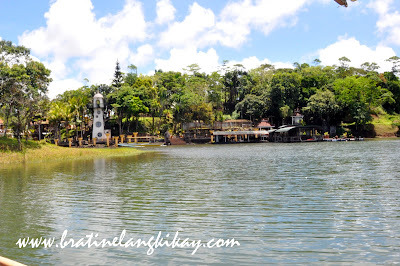 We were amazed by the number of resort-like private properties we saw around the lake. 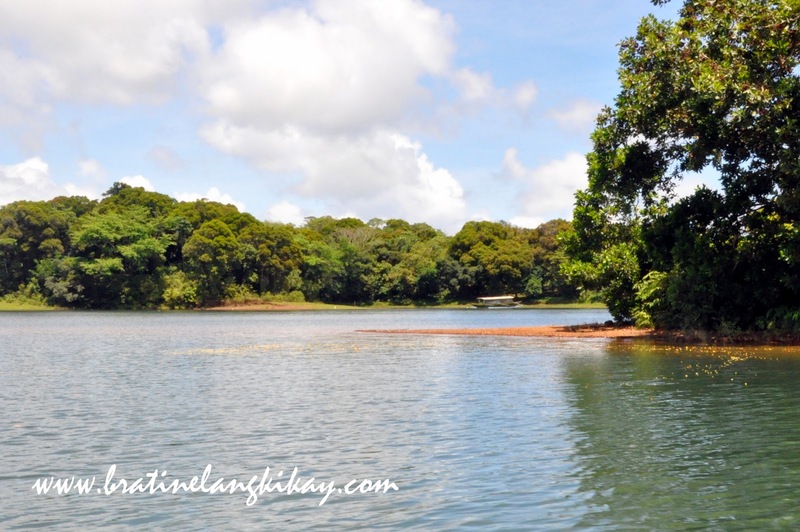 My google search later revealed Caliraya Lake is a man-made lake and most properties around the neighbourhood are owned by the rich and the famous of Manila. We had a great time at this extra, unexpected stop and next time we come, we'll be more prepared. Perhaps we can go fishing or bring a tent as the caretakers said we can put up a tent for overnight stay. Tempting but not kid-friendly. The only thing I didn't like here are the toilets. 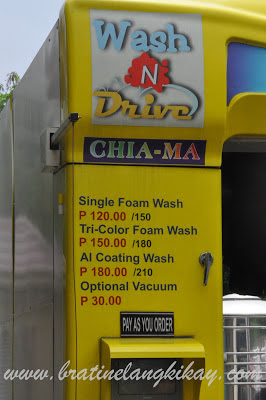 They only have 'dry toilet' which is the one with no water tank for flushing. They use the lake water to flush it. I wish I could promote this "property" but it's unnamed so I can't recommend it. I guess the easiest way to identify the location is it's the first lot you will see (to your left) upon reaching the peak of the road. I think the make shift sign can easily be missed but once you see the prominent signs of Caliraya Country Club then you have passed the "property".